It takes a lot to impress me. This fellow did it. ....and Monty Python's Quest for the Holy Grail shall never be the same again. If only that poor bridgekeeper had this information. Ever observe though that swallows don't really do alot of excessive flapping ??? Powerful when they do, but mostly alot of gliding and dive bombing, almost in some instances the way a male humming bird does in some cases. 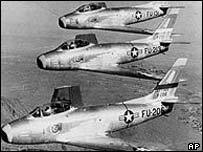 It's their body design (excuse the delusional lingo) to me has always resembled that of the early Jets used during the Korean War. Much of the modern jets and airplanes have even encorporated the Swallow-tailed design as well.